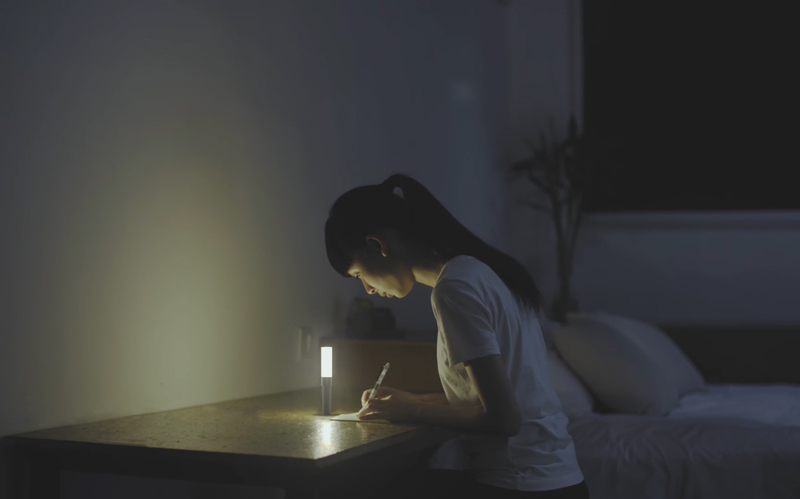 Portable Dual-Purpose Directional Flashlight and Ambient Lamp Lighting. 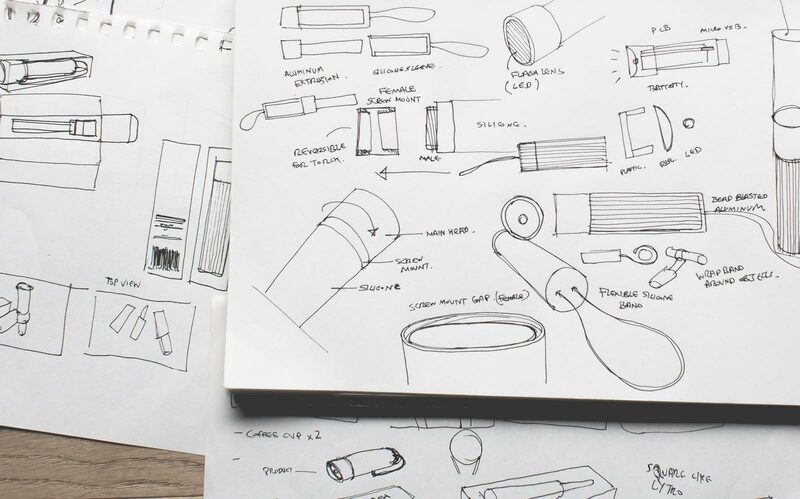 Minimalist approach from design to manufacturing. 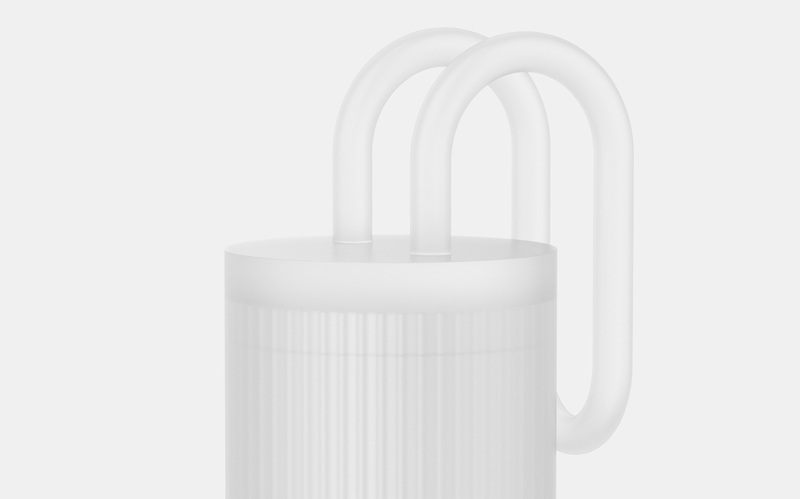 Aluminum Light’s design language is a unique take on minimalism, where inspiration comes from two specific ideas: product archetypes and simple manufacturing techniques. It is an exercise in minimalism, where the meaning extends to the product's production method, product lifecycle, and product usability. The detachable grip/light diffuser is made of translucent silicone. The hygienic and tactile nature of the material makes it a great grip for a flashlight. And its translucent finishing diffuses the light evenly to be used a lamp. 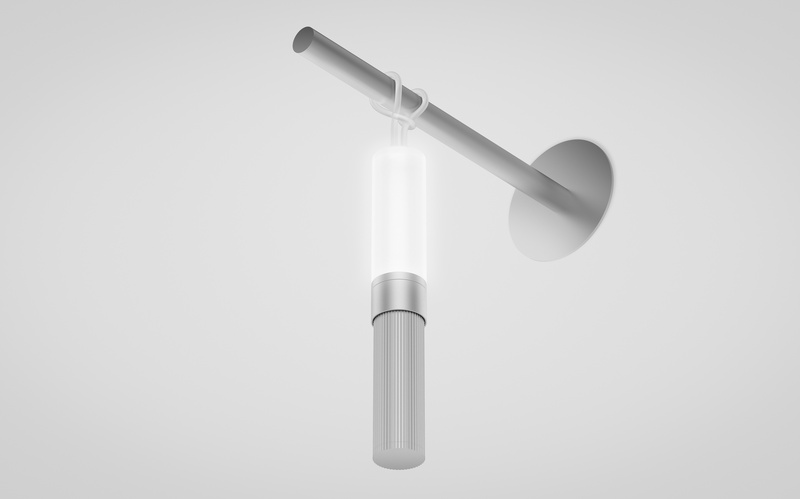 A hidden screw mount is used to attach and detach the silicone light diffuser on either the front or back of the aluminum “head”, where the flashlight becomes a lamp, and vice versa. Aluminum Light uses a Light Emitting Diode(LED) light source with a Micro USB rechargeable battery. It is a product designed to last. With the aluminum reflector, the LED can shine very clearly for a long distance, or create a bright atmosphere with the diffuser. 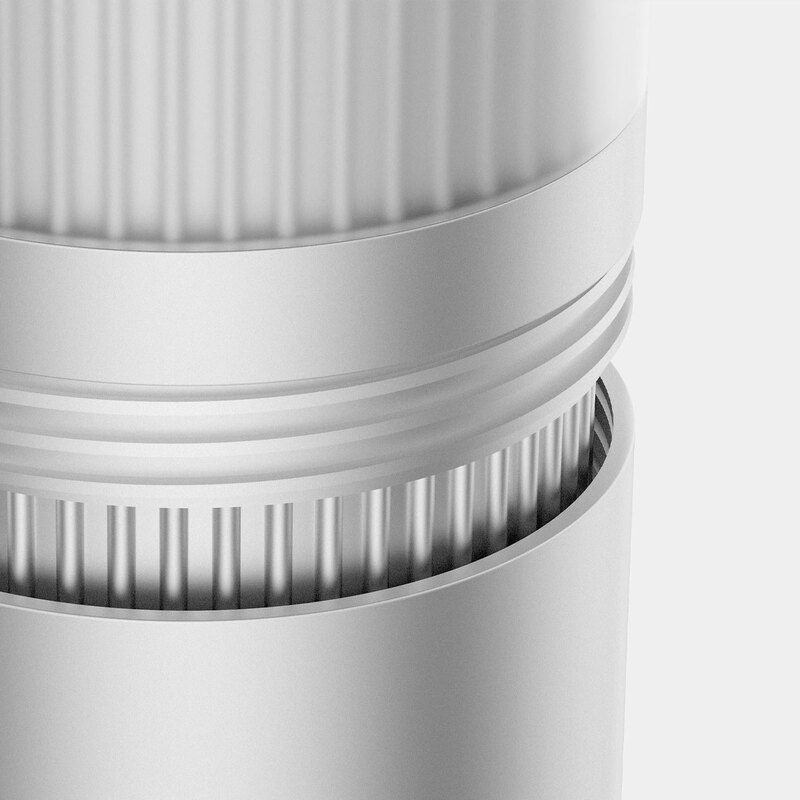 Aluminum Light becomes a source of safe and warm light wherever you go. Silicone has great tensile strength, which basically means it can stretch a lot without breaking or tearing. Aluminum Light takes advantage of this materiality through an integrated strap. The silicone strap can be stretched to be wrapped and hang itself for an overhead light. When using the product as a flashlight, simply wear it as a wrist strap to prevent drops. Developing a scalable design language. 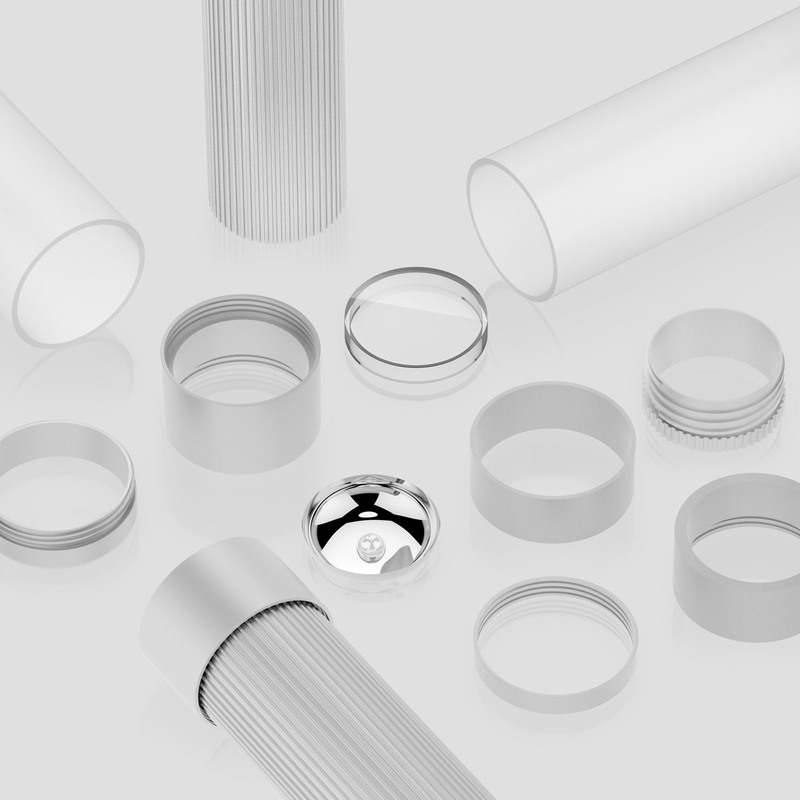 Metal extrusion is an incredibly precise and easily controlled manufacturing process. Only allowing an elongated version of a two-dimensional shape, the manufacturing technique forced us to find a design language that would take advantage of this constraint. The resulting design has iconic proportions contained in a pure geometry. 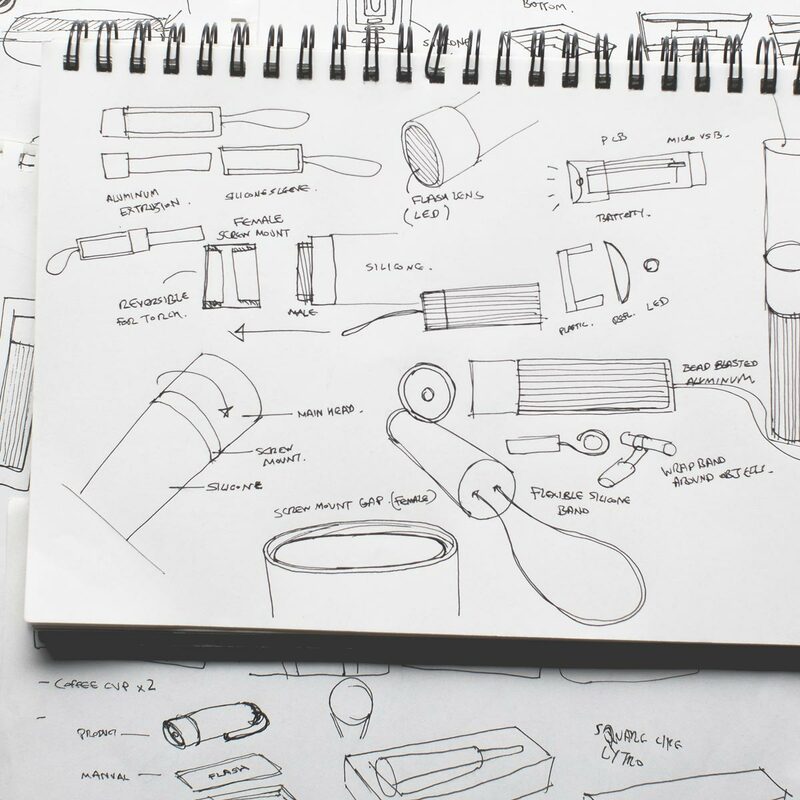 We see this design language to be scalable for MUJI, where it can be applied to a new line of products, and possibly even develop a system where different products can share the same components to maximize production efficiency. As an addition, we created a simple and clean packaging, following the typical MUJI packaging designs.